All trips to the most interesting places in the city can be easily done on foot without the use of any form of transport. No taxis, buses or cars ... With us, visiting Rome means a walk, it means immersing yourself in thousands of years of history and all on a human scale. 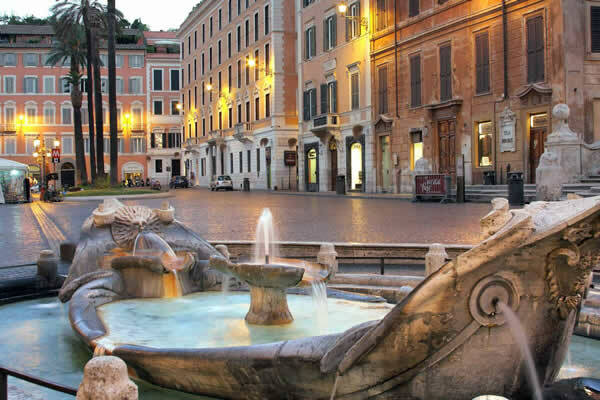 The rooms, apartments and suites are located in the famous historical residence Palazzo Pierret with a lovely view overlooking Piazza di Spagna and the beautiful Spanish Steps leading up to Trinità dei Monti, but also onto Via Margutta, the charming street of the artists. 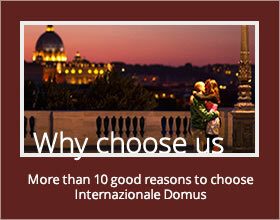 From the Internazionale Domus residence it is possible to walk in a few minutes to all the main world famous monuments, squares and streets of Rome (the Trevi Fountain, the Pantheon, the Capitoline Hill, the Roman Forum, the Coliseum). Just a few steps away is the Pincio Hill, from which you can take in a wonderful view of Rome from on high. Rome and its millennia-long history, from capital of the Roman Empire to Romantic Rome which will make you fall in love with it with a simple journey on a Vespa. 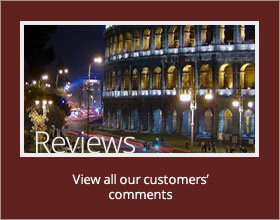 Visit the historic squares of Rome. Find the distance from the apartment hotel to the most famous squares. Staying at the Internazionale Domus, within a radius of a few meters you have all the most prestigious names in Italian and international fashion as well the most important accessories and jewelry stores in the world. 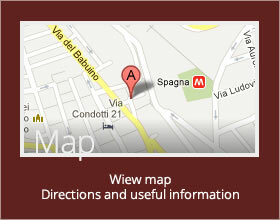 The Internazionale Domus residence is well connected to the city with the subway, taxi ranks and bus stops nearby.